Today we will be delving further and looking at Amazon Europe. In Part 1 we spoke with Gil Lang of Private Label Journey, a German Amazon seller about the mindset of German consumers and the challenges and opportunities of building an Amazon business in Germany. There are many things that you have to take into consideration. You have to think of your lead time and everything that goes into it. Also consider receiving time at Amazon. It might take awhile for them to check it in. 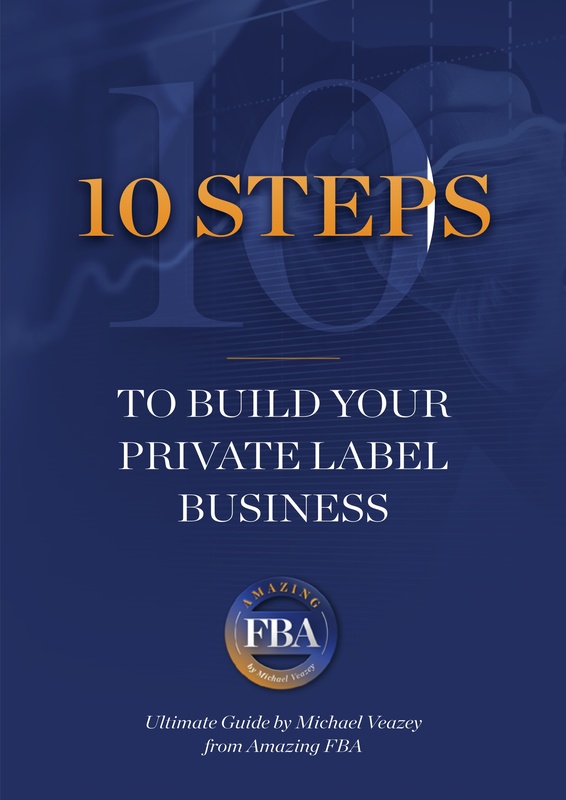 When planning a strategy for your FBA inventory, you should plan for the worst case scenario. There could be issues with it getting backed up at port or issues with your supplier. A great thing about using software for forecasting, is that they can keep track of that, whether it’s Jeremy’s Forecastly or another piece of software. It tracks inbound inventory, current inventory, what you have in manufacturing, and true sales velocity. You also need to consider spikes in sales. You may have consistent sales every day, but a couple times a month your sales spike. This is why you need to build in a safety stock. That gives you a cushion so that if you get a surge in sales, you have enough stock to cover it until your next shipment gets there. Forecastly has many business that use its service. The software can then use this anonymous data to make predictions about Amazon as a whole. It takes ASIN level data over the past 30, 60, and 90 days to makes prediction about future sales numbers. Their main focus is demand forecasting. It considers your recent sales including stock out periods. If you were out of stock, it can determine what you would have sold had the product been available. It also tracks the variability of demand which is something you can’t do in a spreadsheet. The main thing you have to be conscious of when managing your FBA inventory is, what do you need to replenish, when do you need to replenish it, and how many units do you need to replenish. Forecastly tracks all that while monitoring your inventory and will recommend your orders. Many sellers want to use a 60 day trend to determine their sales velocity which is a bad idea. If you selling in an upward trend, meaning your sales are growing, then your sales were much lower 60 days ago. This will make your average too low. Forecastly uses a 30 day trend to get the most up to date projections. We, here at Amazing FBA, love a rule of thumb. 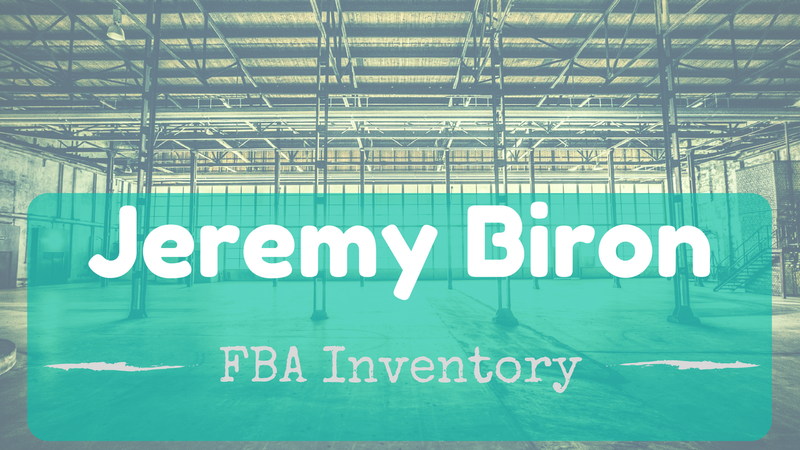 Unfortunately, when it comes to FBA inventory, many sellers follow a rule of thumb that won’t help them, and could hurt them. It’s the idea that you need to have X amount of days worth of inventory. Whenever they place their order, they bring it back to this magic number. For example, if you wanted to maintain 90 days of inventory and you order monthly with a 30 lead time. When it’s time to make an order, you have 60 days of inventory. Based on this, you would order 30 days of inventory. You don’t need that much inventory. You wouldn’t need to order for another month because you have a 30 day lead time and you’re tying up cash in stock you don’t need. The rationale behind this method is security. The attempt to avoid stock outs by keeping a large amount of stock on hand. Amazon will continue growing their own private label brands. So Amazon is now your competitor. International markets are growing. The European markets are booming. If you’re having success in the US, you’ll want to take those products to the UK and the rest of Europe. That isn’t as easy as it sounds. You have to come up with a separate replenishment strategy as well as deal with the tax regulations. There is an opportunity, though. Especially in Germany where 40% of the sellers are non-German, and very few are American. That means they are willing to buy from foreigners, but not many Americans are there yet. As Amazon grows, the more warehouse space they will need. They are investing in new space, but they don’t want to overdo it. You will likely see seller-fulfilled-prime see some growth as a solution to this problem though will come with its own issues. The inbound process is likely to change. It used to be that you would just slap on a UPS label. Then you had to also do the Amazon label. Now you have to do box contents. It’s going to get more and more complicated as Amazon continues handling more inventory. If you want to receive a free tool for launching new products, head on over to Forecastly. 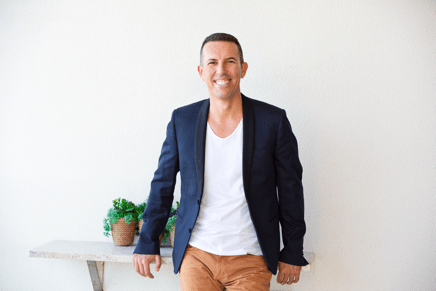 You are selling on Amazon FBA now – but what was your start in entrepreneurship? Adam has been an entrepreneur for over 20 years. Adam got started right out of high school. He knew he didn’t want a boss and was captivated by the idea of entrepreneurship. He has had several businesses but not focuses solely on Amazon. He has had online and offline businesses including a flight simulator business, hair salon, and a finance company. He has a very diverse background, to say the least. Selling on Amazon FBA came more recently. How did you come to be selling on Amazon FBA? Adam got into selling on Amazon FBA part-time while he was running an animation business. He sold that business last year and moved away from service businesses in order to start a product business with Amazon. Part of the allure of products is that it gets away from the “selling your time” type job where you make more money the longer you work. With products, once you do the hard work and develop the product, you can sell it all over the world and get paid over and over. His animation business was growing and financially successful but he had a lot of people and a lot of moving parts. With products, it so leveraged and you can get away from that. What made you decide to sell things on Amazon FBA specifically? Do you think it’s too late to get started with selling on Amazon FBA? It definitely isn’t according to Adam. He did an experiment this year. He started with 6 products that launched in February or March to test what it would be like for a newcomer. They are currently around a million dollar a year products at this point. So it isn’t too late. There is a lot of opportunity to those with the necessary education. Where do you think the opportunity is? Is it still in .com in the US, or has it shifted to somewhere else? How about selling on Amazon FBA UK? It’s interesting because right now his European business is doing about 70% of his US business. What’s truly amazing is that his cost-per-customer (CPC) in Europe is about ⅓ of what it is in the US. Also, Europeans give more feedback than Americans. He has automated emails that go out and he gets about twice as many emails from UK residents than the US. Are you only in the US and European markets or are you in others? Adam is in .com and then Spain, Italy, Germany, France, and the UK. What are the big pros and cons of the US market versus Amazon FBA UK and the other European markets? The US is always appealing because it’s so big but because it’s so big means there is a lot more competition. Also, America is home many of the Amazon course gurus that have pumped out a lot of courses to those wanting to start an Amazon business. The challenge is that there are a lot of sellers that have been educated on the same strategy at the same time. So America is still a great opportunity if you have the right education and the right lens. You can’t beat the US market because it’s so big and broad. However, if you live in the UK and feel more comfortable working there, Adam would recommend starting in the UK. It’s a fantastic market, much easier to access, much easier to rank, and a much more appreciative group of consumers. However, if you don’t live in the US or the UK Adam recommends starting in the US because it’s much easier to get started. The regulations for foreign sellers are a lot tougher in the UK and it’s a lot easier to get your account set up in the US. Another issue is that not everyone is registered for VAT and many people won’t until Amazon requires it because it will add 20% to your prices and put those that register at a disadvantage. You mentioned before how everyone was educated in the same flawed strategies for selling on Amazon. How were they flawed and what should be done differently? One of the biggest promoters put out a course telling people to sell items for under $40 with high Best Seller Ranking. When they first launched they recommend being in the top 100 of any category. Once they began selling this idea they realized they needed to expand because they had 5000 people looking to be a top 100 in about 15 categories. One of their flaws was the emphasis on BSR because it doesn’t really matter. That only measure who sells the most. But in business, it doesn’t matter how much you sell, rather how much margin you make. That’s the difference between turnover and leftover. Adam is looking for higher margin, less contested spaces. People don’t realize how massive Amazon is. Over 2 million sellers with hundreds of millions of products. There are a lot of unsophisticated sellers that have two images with ten reviews and are on page one. There are a lot of small sellers that looked for cheap products with high turnover where anyone can get into it. What Adam looks for is something that is difficult for people to compete and isn’t as obvious. What are some things you would suggest in order to put a moat around things? If you have $5000, $10,000 and $20,000 to start. Adam cover a lot of this in his course at reliable.education. His first product was $160 retail. But it was costing him $40 a unit. So there was an $80 margin which gave him options someone selling a $12 product just doesn’t have. He could spend more on advertising. Even if he spent $20 per sale he was still making $60. He was completely out of the top sellers and in his subcategory there was around 45,000 and he was nowhere near the top. He still came in and started making $15,000 a month in sales and $8,000 profit. The first thing people need to think about is that whenever you look at a market for anything, you need to think about it from a consumer’s point of view. Why will a consumer notice you? And why would a consumer buy from you and not someone else? It can’t be something they need to read about. Don’t expect them to read your copy and find some feature. Think of Amazon like Tinder. People put in a few details about what they are looking for, then go through the pictures and start dismissing them. You need to have good photographs, but you also need something good in the photograph. So try to get something that is visually different. Some key detail or feature that will grab the buyer’s attention. For example, if you look up desktop calculators on Amazon, they are all black or grey except for one that is green. Now if you look at car covers, they are all black or grey or blue. But if someone came with a car cover that had a cool saying, or was bright pink, it’s going to stand out. The question is, how can you innovate, visually, at the core design level. It’s not about the best title or description, anyone can do that. The big thing is to think like a customer. Just follow Jeff Bezos advice, “Be in business for the customer.” In the end, the best products are going to win. MICHAEL: Basis for duty is Commercial invoice value = Manufacture cost plus freight (if your supplier is handling freight, it will probably be on the same document). AKA Total Landed Cost (TLC). Then put that value into the dutycalculator website. Any freight experts here, please feel free to correct and or refine this statement. If you are using a Freight Forwarder or even just a Customs broker, obviously ask them how it works and check any nuances for your own product. Q2: BEN: Hi gang! Thanks for your help with my previous question. Here’s another one. I’ll shortly be sending my first delivery to Amazon. I haven’t finished the ‘send/replenish inventory’ section on seller central yet (as I’m not ready to send yet), but when i am, I presume I’ll end up on a page that tells me how to organise delivery with one of Amazon’s preferred carriers? Otherwise…the Amazon help pages aren’t very helpful in detailing how I actually get my stuff from my house to their warehouse! I understand that amazon’s preferred carriers offer discounts for going to amazon…which I presume I book through seller central, rather than parceforce.com, for example. MICHAEL: Yes that’s right. Amazon’s preferred carrier is just the one, UPS. They give Amazon amazing shipping rates. Something like £1 a kg or less. Get a quote at the Post office or from a courier yourself and you’ll realise how cheap they are. STUART: Unless, I have missed something but my experience of using Amazon’s preffered carrier, UPS, only applies when shipping from within a particular country. For example, rates are fantastic when shipping from UK to FBA in the UK. However, when shipping from UK to FBA in the US, there are no special rates. I have found using Transglobalexpress to be very competitive, and they use UPS as well as other carriers. MICHAEL: Thanks for the hint, Stuart. May I ask why you’re shipping UK to US in the first place? Is it sending stock from UK you already have here in order to test the market for that product in the US? STUART: That’s correct. I merchant fulfill in UK, and have sent stock to US FBA to test market. Q. 3 BEN: Guys, I’d be interested in your take on this idea. Especially MICHAEL: after the last two podcasts… I have heard some stories of people sending off their branding to suppliers to get branded samples, and then when they choose another supplier, the un successful suppliers have gone and made stuff with heir branding and sold it on to other people, or just gone ahead and stuck it on Amazon themselves. yes that is a danger. It does happen. Firstly, short-term, nobody really cares about your brand yet. So I wouldn’t over worry about it yet. However, I like your idea in that you are testing the quality of printing but protecting your brand. For that matter, if all you want to see is the quality of printing, you could use a different brand altogether! But The only thing I would say is that by doing this, if you decide to go ahead with a supplier, you probably should get another sample done with your actual logo. Which will delay the process. You could just trust them to do it well and get it done, I guess. Overall, I’m basically in favour of your approach. However, I would say this: I’m not sure how much back and forth you’re doing with Suppliers with samples. But it is really important in the PL market now it’s so crowded to move fast when you spot an opportunity in the market. SO for speed, I would get my 2-3 samples from suppliers upfront without worrying about branding. Just check out the quality of the product. That should take max 7 days from order to having it in your hand. Then choose a supplier on the back of that. If you want to then check the quality of the printing of logos etc from your chosen supplier at THAT point, I would then order a proper sample with your real logo. Unless they really mess that up, I’m going to place an order. If there are minor defects, I’ll have them correct it and then send me photos of the corrected sample. Please understand: There is nearly ALWAYS a trade off between speed and quality. Yes, it’s good to have a professional process in place and yes you should protect your brand (reputation) and IP (Intellectual Property). However, if it takes you 6 months to get to market with a good, but not amazing product, which is frankly pretty much the same as everyone else’s, the competition will often have killed off the profit in that market. You’re better off getting your good but not great product to market, learn about the realities of trying to sell, listing optimization, handling Adwords etc etc and get some feedback from customers. 3, or if quality and sales and profit are all good, just go back and reorder! Either way, you get MOMENTUM. Do not underestimate the importance of this. “Money Loves Speed”. Quality, sadly, does not. Thanks for the excellent and in depth response – it really is appreciated. I have decided that this week I’ll be sending a ‘test’ version of my branding to three suppliers for samples. I expect to get them in 7-10 days, and then I’ll trust the best one to go ahead with the first full order using the real branding. My ‘test’ version is close enough to my ‘real’ version that I’ll know what it looks like from the sample (it’s basically my branding with a ‘test’ watermark over the top, but in such a way that they can’t remove it’. MICHAEL: Sounds perfect, good process. I like the thinking. MICHAEL: By the way, don’t assume that the Chinese will care about the watermark. If they spot a product that will sell, they will be interested. Period. Part of doing business in China. Yes protect your IP to a degree, plus make it clear in your paperwork that they are not allowed to use it. But then you’ve done what you can in practice. Then move on! Also don’t spend much money on design before you know if the products are worth selling. First check the sample quality before you invest time money or energy in it. Q1: When you import your products to Amazon from China do you get your products inspected in the USA before sending them to Amazon or do you just send them directly from China to Amazon ? I would get them inspected in China (Pre Shipment Inspection=PSI) and then in the USA when they land (Post-Shipment Inspection). Don’t forget to put in 10% minimum spare packaging with your product so any damaged packaging can be replaced. Don’t send products in to Amazon with damaged packaging. Q2. I’m being told you have to be VAT registered to do FBA in the UK. Is that true? Ian: No you don’t, [if you are UK based] unless you are getting sales totalling £82,000 per year! I found one wholesaler who won’t let me register on their website because I don’t have a VAT number, but it’s probably their loss. 1. New stock and old stock must have different SKUs. If you’ve got the FNSKU printed directly on the packaging, either change it there or have your prep company re-label. 2. Set the new stock SKU at some silly price so nobody buys. £999 or something. As soon as the stock hits the warehouse, do a fulfilment order on it and set it to hold for 2 weeks. you won’t be charged and it will make the inventory unavailable to purchase. 3. Sell through the old SKU. Keep refreshing the fulfilment hold every 2 weeks as required. Kieran Will that keep my reviews? Rob Sleath: Yes. The product reviews are on the ASIN and the seller reviews are for you as a seller. Neither change if you use a different SKU.